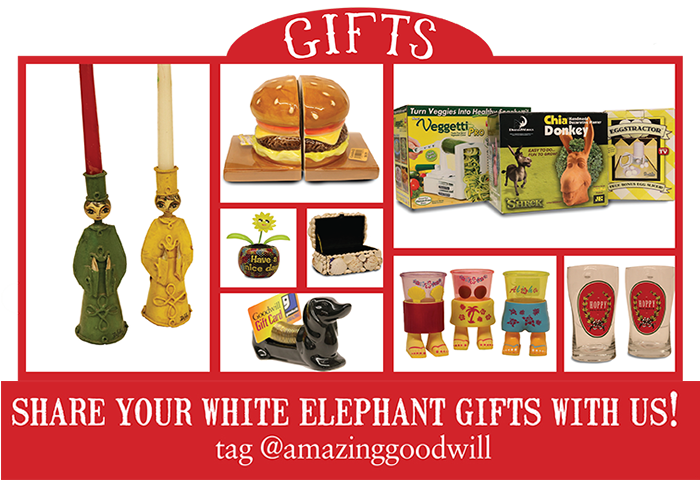 Find Your White Elephant Gifts at Goodwill! Looking for the perfect gifts for your White Elephant exchange? Look no further than your nearest Goodwill Store & Donation Center! Not only will our unique inventory provide you with the perfect selection of gifts, but your purchases also help support our important mission of providing training, employment and supportive services for people with disabilities or disadvantages who seek greater independence. That's a win-win situation!